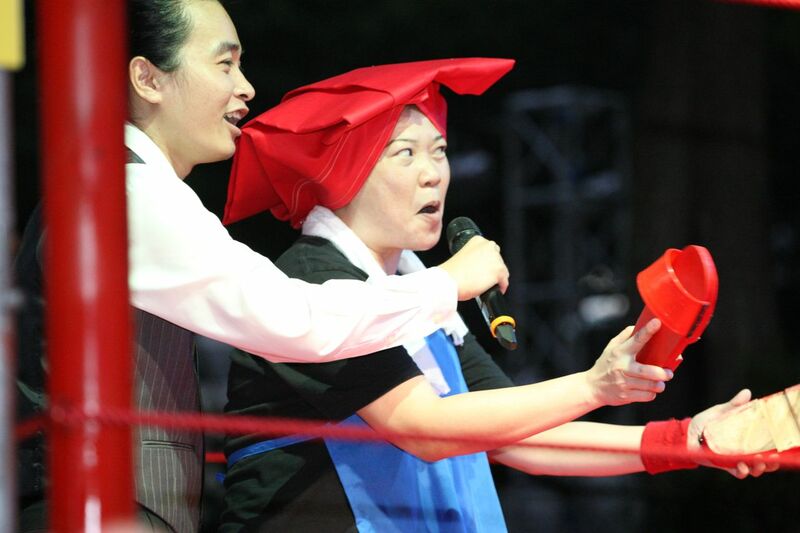 This special arts performance at Singapore Arts Festival 2012, is probably very special and very unique, why is it so? In simple words, it’s simply Singaporean in heart, mind, soul, thoughts, ideologies, views and thinking of everything Singaporean, that maybe only Singaporeans can understand. This is the XII – In Search of 13. The Search of 13 can be found at the wrestling ring, inside the Festival Village, with the backdrop of Merlion, Fullerton Hotel, Raffles Place and Esplanade surrounding it, where 12 contenders vie to be the ultimate national icon, amid a backdrop of myths, stories and drama where the Lim Bo Seng memorial stands. The match up is decided by you, the audience, who can vote for their icon to fight against the biggest icon on stage, the Merlion. YOUR VOTE IS SECRET ! 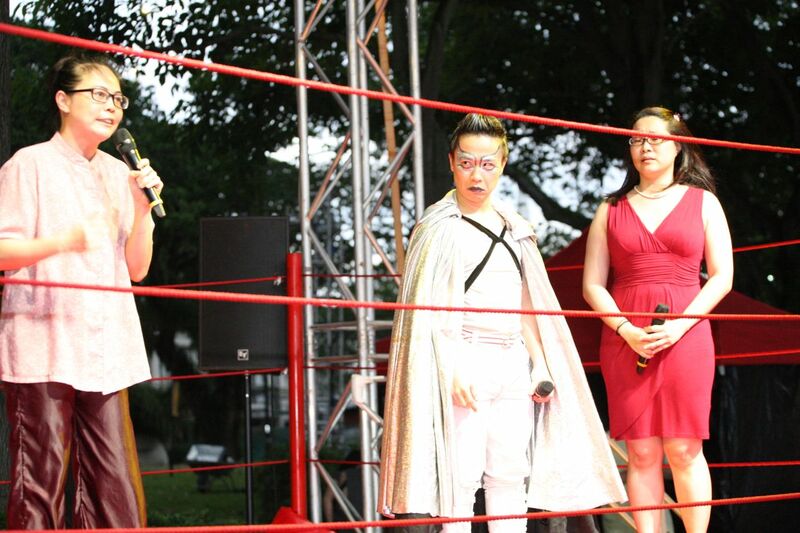 DO NOT MISS this awesome, unique, special and so wonderful performance at the Singapore Arts Festival 2012 (especially if you are living in Singapore), for a great laugh, fun and the opportunity to see how this wrestling ring might fits into your daily life and thoughts. Do drop by and check out some of the photos here! Gardens By The Bay – A Preview & Opening Soon!